When looks don’t match performance, it’s hard to stay on top. We revamped FLIR’s new line of thermal cameras, giving their powerful technology the design it deserved. After having developed a whole new design identity for FLIR. it was time to put it to work, applying it to their new thermal camera series. We wanted the E-series to make a serious design statement, moving the brand forward into its rightful position – an innovative leader within professional thermography. In a close, progressive collaboration with the ingenious engineers and managers at FLIR, we worked on combining the latest technology with new signature design elements. Ergonomics, functionality and portability were key issues; at the same time, we needed to create a robust, powerful look and feel that people would appreciate and quickly learn to recognise. The FLIR E-Series is a new family of precision instruments for the professional thermographer, showing off a fine balance between aesthetics, robustness and accuracy. 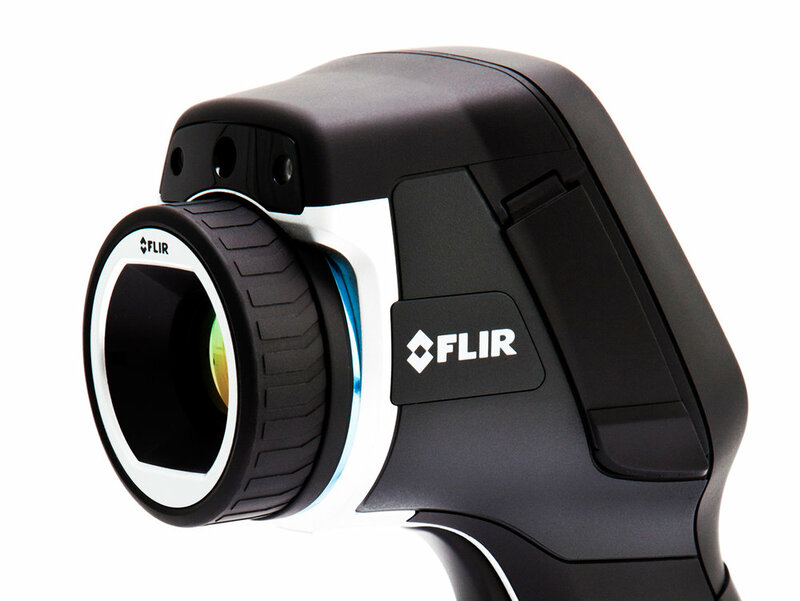 As the first camera to manifest the new FLIR design identity, this product has been highly recognized by customers. "The release of the E-series has been very successful, resulting in an increased interest from our customers in this product category. We have been working hard to match production pace to the high demand,” says Johannes Bergh, FLIR Chief Brand Officer. The rugged exterior is emphasised by dynamic surfaces and finely detailed with carefully placed splitlines and a combination of painted parts, rubber and TPE materials. Smooth design, beautiful handling and user-friendly features make the E-series camera a state-of-the-art, precise and powerful tool for the professional.